I have been eyeing the 361 Chaser for some time. 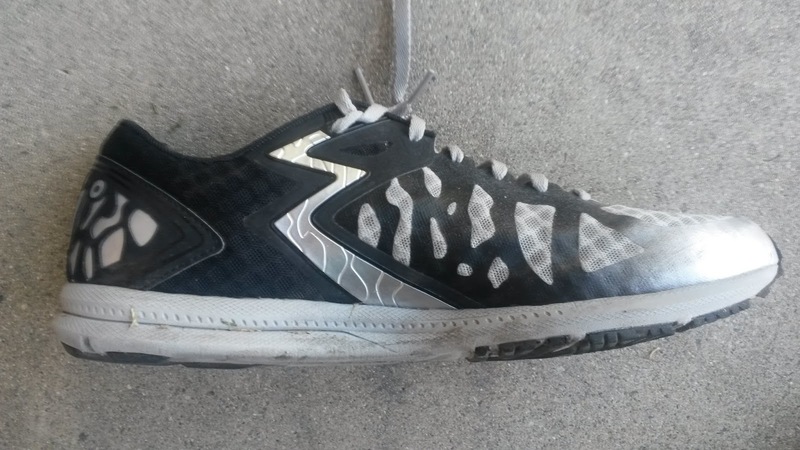 I am currently a sucker for road racing shoes with propulsive plates in them as they remind me of the track spikes I used to use in college. To this day, I still love the unboosted Adios 2s for that reason as they were firm but had an extended forefoot torsion system that was extremely responsive and great for a variety of distances. Due to the changed fit and ride in the Adios Boost 3s, those shoes are no longer of interest to me and I have began to look elsewhere. 361 is a sports brand based out of China, but their US headquarters are in Irvine, Calfornia (not far from me). I was curious about this relatively new footwear brand (to the US at least) especially given the specs of their racing flat the Chaser. As luck would have it, I was given the opportunity to try this shoe out and have come away very impressed with 361's first long distance racing flat. The first thing that many may notice is that the Chaser has a fairly generous fit for a racing shoe. The 361 Chaser is not a super narrow racing shoe and should fit a larger variety of running feet, especially those with medium to slightly wider feet. The heel fits fairly traditional without being too narrow or too wide. The midfoot opens up into a wider forefoot for a racing shoe that should accommodate swelling feet very well over long distances. 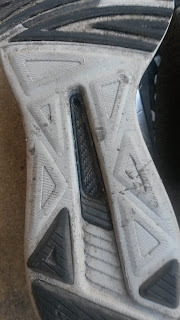 The upper is somewhat thick compared to other shoes, but remains plenty breathable thanks to the Open Weave Air Mesh. Despite the overlays, the upper does stretch to accommodate the foot and is not constricting at all. There is a heel counter that is slightly flexible and thanks to the cushioning in the heel aspect of the upper, this should not bother too many people with sensitive heels. Fit wise the 361 Chaser fits comfortably true to size. 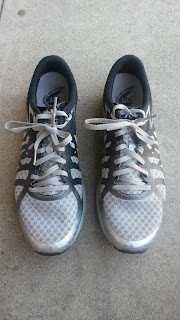 I normally wear a size 10 and this shoe fits well, if not with a little extra room than I am used to due to most racing shoes fitting fairly narrow. I would not go up a size in this shoe and would think about it fitting more like a lightweight trainer than a racing shoe. 361's unique foam is QU!CKFOAM, which from my understanding is a combination of CPU blend that is a similar but different material from TPU (like Boost or EVERRUN). Per 361 it has a higher durability than EVA and increased responsiveness. The CPU is different from TPU in that it is firmer (but still softer than normal EVA) but is still very responsive when the pace picks up. 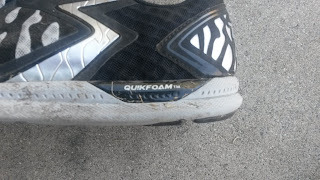 The QU!CKFOAM is placed in strategic places in the 361 Chaser around the rest of the sole (which is EVA), specifically at the lateral aspects of the heel and forefoot. These make landings for both heel and forefoot strikers less harsh (more on that in the thoughts as a DPT) thanks to the fact that most people land on the lateral aspect of the sole. There is a carbon fiber shank that is visible from an inferior view of the sole. This comes to light as the pace picks up. Thanks to the QU!CKFOAM and carbon rubber outsole, the 361 Chaser actually feels relaxed and somewhat cushioned at slow paces. When the pace picks up, the carbon fiber shank shines and you will feel it propel you forward. This is a slightly odd sensation as the 361 feels like a lightweight trainer normally but as soon as you break into race or workout pace it becomes a different shoe. 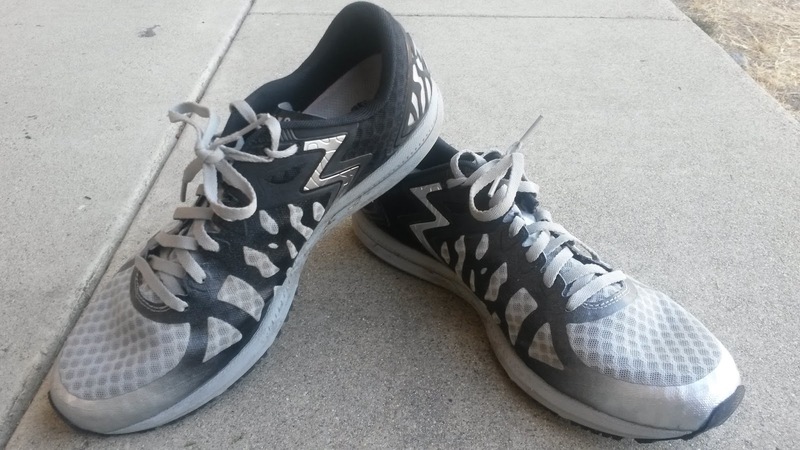 Thus this shoe works as both a lightweight trainer and a racing flat. The 361 Chaser is definitely a half to full marathon racer, especially with the 8-9mm drop and 8 ounce weight, but can be used for shorter races. 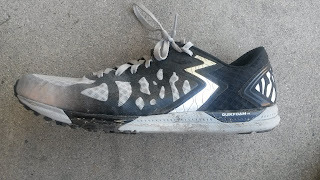 I recently used this shoe for a 5K which I did not expect to do well in (thanks to being out of shape). 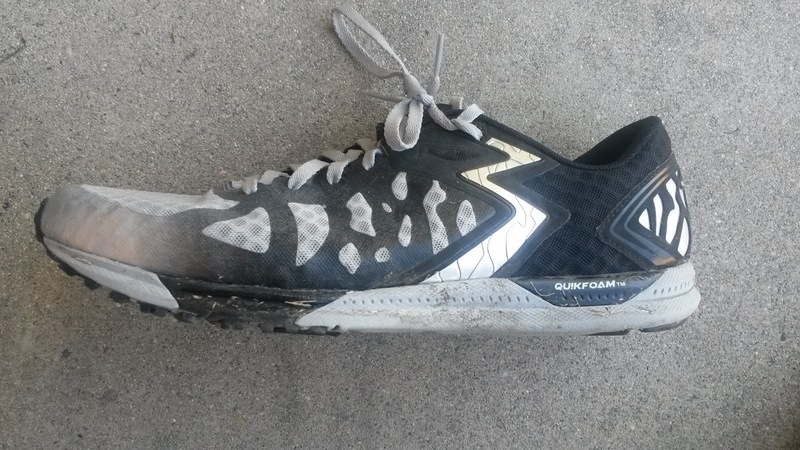 I ended up cranking out a 15:47, which is not what I would expect from both being in poor shape and from an 8oz shoe. Yet the carbon fiber shank and QU!CKFOAM make this shoe viable for all race distances. I personally would prefer lighter for 5k to 10k, but for those needing a little more cushion on race day the 361 Chaser is definitely a shoe worth a look. The carbon rubber outsole at the heel and forefoot, while making the ride (what feels like) a little softer, is extremely durable. 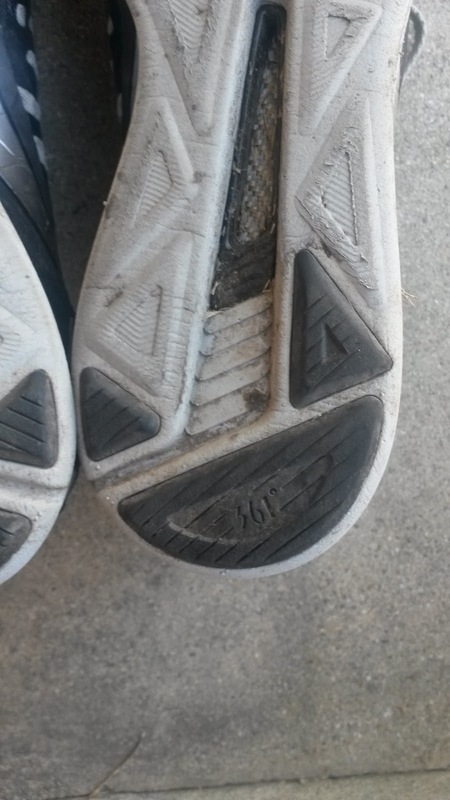 I have over 40 miles on my pair and there is next to zero wear on the sole (but they are dirty as you can see). While the sole is very durable, the width of the sole is very narrow in the heel and forefoot (in contrast to the wider upper). 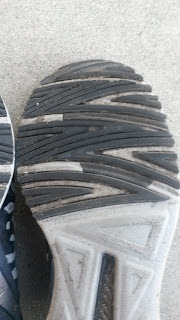 The sole width is fairly traditional in the forefoot, but narrows quite a bit especially at the midfoot. This is reminiscent of older racing flats that had extremely curved lasts. So for those that need a good amount of midfoot support, this may not be the best option. What I have noticed is that the 361 Chaser does not feel as stable at slower speeds, but when the pace picks up, the carbon fiber plate almost acts like a stability plate due to facilitating forward motion. So as a lightweight trainer it is not as stable. As a racing flat and at speed, the Chaser is more stable and very responsive. But again for those that have very unstable feet and need additional stability, this may not be the best option due to the narrow sole. Testing several 361 shoes thus far I can tell you that lateral forefoot cushioning is one of the many things that makes them unique. In every one of their shoes, there is extensive cushioning on lateral aspect of shoe, especially at the forefoot. This makes them great for forefoot strikers, who usually land on the lateral edge of the forefoot. It is normal for those that land farther forward to have initial contact at that area. Most companies however do not have additional cushioning there. Forefoot strikers will naturally pronate to absorb force starting at the lateral forefoot and should progress to the 1st MTP joint to propel from during toe off. I have discussed previously the importance of having a strong peroneus longus to stabilize and propel off the the 1st MTP and keep the forefoot arch stable. What I have not discussed as frequently is that these runners need durable bone structure at 4th and 5th metatarsals to endure those landing forces as stress fractures and reactions are common at this point in forefoot runners with bone density issues. So those with issues at this area should know that the lateral cushioning placement at the forefoot in 361 is unique and definitely worth a look. 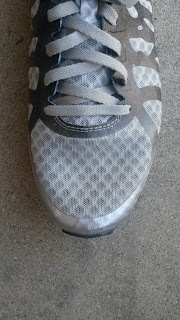 This is also especially present in the 361 Spire 2, which is their daily neutral trainer that I will be reviewing soon. The 361 Chaser is a very versatile racing shoe and lightweight trainer. It is cushioned at slower speeds, but fast once the pace picks up. This shoe is good for runners with wider but stable feet thanks to the higher volume upper but narrower sole. 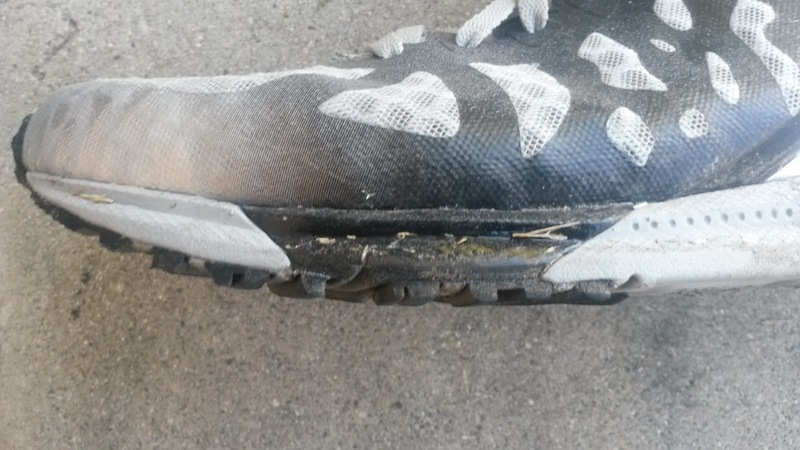 The extremely durable sole will work for long distance races and even some shorter ones. Finally, those who land on their forefoot, especially at the far lateral aspect should give 361 a look for additional protection at that point. ***Disclaimer: These shoes were provided free of charge in exchange for a review. I put at least 75 miles on trainers and 25 miles on racing flats. Currently my pair of Chasers have 41 miles on them. A big thank you to 361 for sending these to me.